Social selling is the new key to make business and LinkedIn is one such social media site where over 5000 accounts belong to various sales representative globally. In a nutshell, social selling is a new trend that effectively utilizes the power of social media to build an effective target audience through relationships for potential sales or conversions. Among all the social networks today, LinkedIn by far provides a good platform for establishing relationships on an industrial and business level. It is extremely beneficial to businessmen in terms of B2B commerce as you gain a direct link to your clients profile and productivity. LinkedIn is now home to estimated 150million memberships globally and the number is growing by the minute. In comparison to Facebook and Twitter LinkedIn provides you a concentrated source of business profiles that is less time consuming. It is now recognized by businessmen as having high potential for creating relationship, leads and generation of revenue. The big question however is optimizing your business activity for LinkedIn because this is what social selling is all about, optimization of a social platform for generating more business. 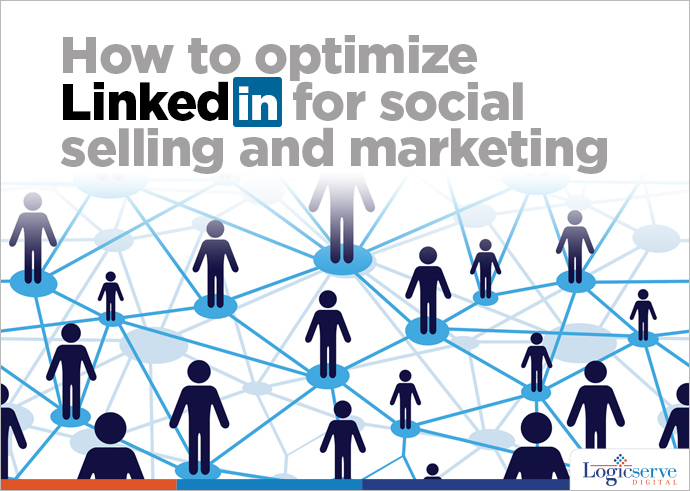 Optimization of a LinkedIn profile should be conducive to business. It should contain worthy information that gives buyers what they are looking for. Create a profile that would showcase you as a person reliable enough to do bsiness with. Establish connections and build relationships with those who you can identify as potential buyers. Your network of relationships should consist of those who you can do business with, not those who visit your profile out of curiosity. With a paid LinkedIn account you gain access to advanced search facilities that provide results of people through individual filters such as location keyword or titles and company names. This helps you build up a network through filtration and identification. Moreover, you also gain the benefit of a saved search where you will be notified of search results in your email. This is one of the more advanced features of LinkedIn having vast potential for influencing business. Optimizing your titles and headers with rich keywords or key phrases improves your chances of being searched out by other businessmen. The best possible way of optimizing a headline is by using multiples keyword terms in respect of your offerings. Alternately writing a creative headline that describes you and your business with the use of keywords will also create an impact for similar results. This is one area where you can create larger content packing in a number of descriptive pieces in relation to yourself and your business. You can even include links that will navigate viewers to detailed presentations and information revolving around your brands. Take a look at Coca cola’s LinkedIn page. It projects a perfect example of complete optimization. With sharing of material from cokes digital magazine ‘The Coca Cola journey’ coke immediately establishes a connection with a viewer where click through rates on LinkedIn far surpass the CTRs from face book and twitter. As an example of optimization of an individual site, here’s Connie Benson of dell who uses LinkedIn facilities to its maximum. Her profile provides an insight into all her achievements through headlines and an engaging summary. LinkedIn is all set to be the largest social player impacting business in the Business to business scenario which has always preferred a platform that focus its content purely on industry. It is a perfectly logical deduction to recognize LinkedIn as the perfect B2B tool due to its business oriented features that stands a level apart from competitive networks. One should remember however that in order to make LinkedIn work for you, constant innovative optimization of LinkedIn features holds the key to higher visibility and conversion.